This trip is for girls with grit! Something we have observed over the years in our Classic Adventures is how awesome our ladies are! However, they're usually outnumbered (sometimes 11-to-1!) by our awesome gentlemen. By providing a trip for women aged 14-17, we get the chance to shine a light on what makes each of our female adventurers unique! 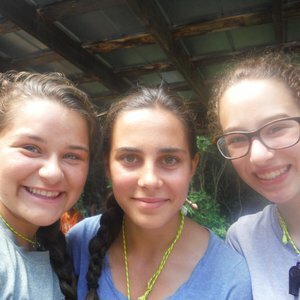 We want each of our female campers to be herself, one of the participants in the group, not "the girl" in the group. We hope the young women on this trip will be inspired by the unique ways women communicate and collaborate, the atmosphere of adventure and expedition, and by the strong examples of leadership from our female guides. The Leading Ladies will backpack, climb, paddle, bike, and so much more! Each day will be jam packed with high-energy activities. All activities are beginner-friendly (though we recommend knowing how to ride a bike), and will be adjusted to challenge experienced and inexperienced participants alike. Make no mistake! This is not going to be "easier" than the Classic Adventure, or "girlier." There will be camping, covering ground, personal and group challenges, going to the bathroom outside, rain, dirt, and so much more! Beginning Girls will learn the basic camping / back country skills needed for their week trip. Team building workshops as well as high adventure challenge course will be part of the beginning. 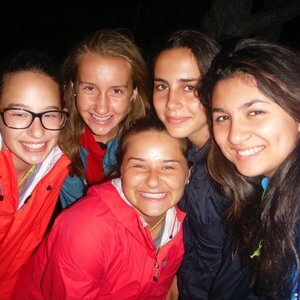 Each night girls will have a bonding campfire with their female leaders and fellow campers. Middle Girls will venture off hike, climb and paddle through different venues. Everyday they will change campsites and go into a new adventure. END Girls will return to Base Camp, invigorated, exhausted, and inspired where they'll enjoy a Friday full of WA's traditional festivities: the 900' Zip Line, Spaghetti Dinner, Closing Campfire, and the WAlympics for all groups! Each of us has unique leadership qualities, and the outdoor environment inherently inspires us to find out what those qualities are. Whether it's getting to camp and setting up before the storm hits, or climbing to the top of the rock, this trip will have something that challenges each of it's participants. Surrounded by inspiring personalities, participants will face group and personal challenges and find out what it takes to be successful. The goal is to blend the experience of independence and collaboration to highlight each woman's unique abilities. By the end of their trip, participants will be leading themselves! Backpacking, camp fires, canoeing, zip lining, camping out, caving, and so so so much more is in store for the ladies on this trip. Each day will be filled with new experiences and challenges that will certainly grow any young woman's comfort zone. Adventure sports such as climbing, canoeing, biking are essential part of all our programs and will be key for this trip. Girls will leave wilderness with a sense of leadership and be part of a group of collaborators, adventurers, who know how to get out in front of a crowd and shine. This is the next level for many of our female adventurers, as well as a great first trip for teens who want an inspiring and character-building experience. "The program I did with WAEL was the best experience of my life... I learned about myself, made lasting friendships, worked hard and was challenged, and most of all, had fun. The rigorous activities were difficult at the time, but now I look back and smile at how great it was. I will never forget the program I did with WAEL."